Diamonds are generally treated by the precious stone industry and its buyers as something special, a “cut” above other gems (pardon the pun) and should therefore be left untouched for the most part. 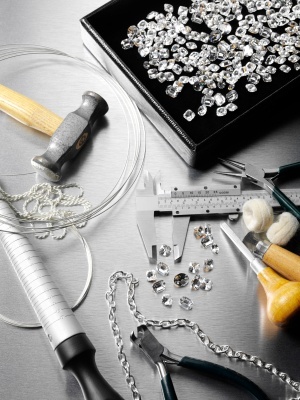 While natural diamonds are expected to undergo certain processes before being made into jewelry, their value is expected to remain intact even after being cut and polished. What lessens the value of a diamond is when they are treated or enhanced, a process not to be confused with simple cutting or polishing. It is an extremely rare diamond that has no flaws. A gemologist can detect the kind of imperfections in a diamond which can affect its value, and consequently, its selling price. Some of these flaws include fractures within the stone, its color, and if there are foreign objects such as crystals lodged within. The true value of a diamond lies mainly in its purity, so many who sell them resort to diamond treatments or enhancements to pass off the stones as “pure”, and therefore expensive. This is a practice deemed highly controversial in the jewelry industry. Even certain government agencies and international alliances on the diamond trade compel those who sell gem stones to fully disclose any or all treatments they used on diamonds before they are sold to customers. As these treatments are not considered part of the normal procedures which a diamond goes through, a seller is obliged to state them in full both on paper and orally prior to a transaction. What are the kinds of diamond treatments a buyer must therefore watch out for? Some of the most common ones are done to improve a stone’s inferior quality. Diamond laser drilling is a practice that started in the mid-1980s. It is designed to make microscopic holes into the diamond using a very fine infrared laser. The aim is either to make a tunnel for sulfuric acid to go through in order to dissolve foreign objects within the diamond such as crystals, or to remove these objects altogether. Once removed, fracture or glass filling typically follows the laser drilling. While the kind of glass “filling” used for this procedure cannot be easily defined, its obvious objective is to imitate the look of a diamond and hide its imperfections. Other diamond enhancements are done to improve the color of a poor-quality diamond. Those that are more sought-after are usually in the natural yellow, pink, or orange color range. Some of the procedures that may be involved are coating to cover up a low-color grade; or irradiation, to try to imitate the look of fancier and more expensive diamonds. The problem is, while there is a standard reference for common types of diamond enhancements so as not to fool potential buyers, more and more new treatments are coming out on a regular basis. It is imperative that buyers insist on being informed about any or all diamond treatments prior to purchasing. Hiring the services of a certified and trusted gemologist or appraiser will also lessen the chances of being cheated with low-quality diamonds disguised as untreated ones. Additionally, buying GIA certified diamonds that come with full documentation an protect consumers from buying enhanced or treated diamonds.